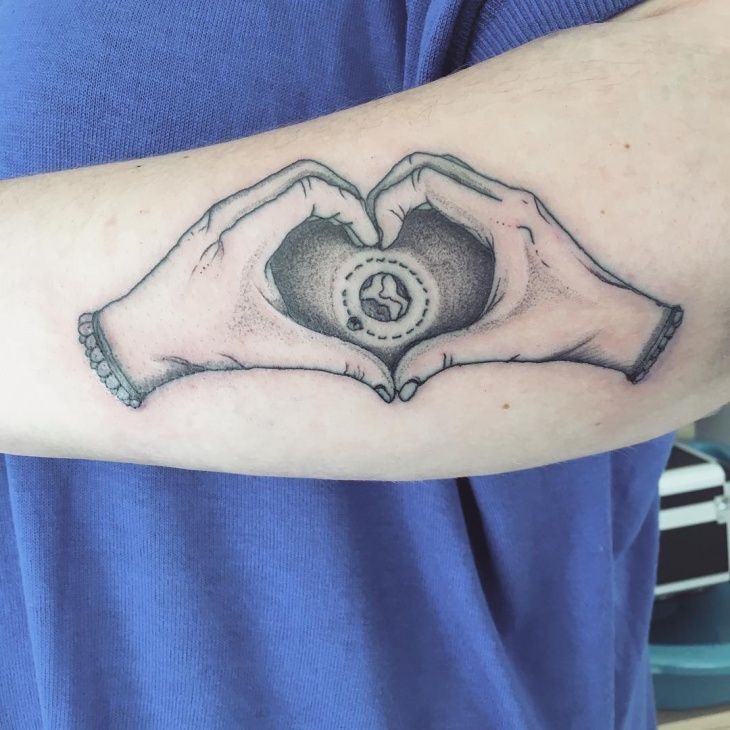 A tattoo can be of two kinds, one that is done to remember something deeply and the other is to raise awareness. 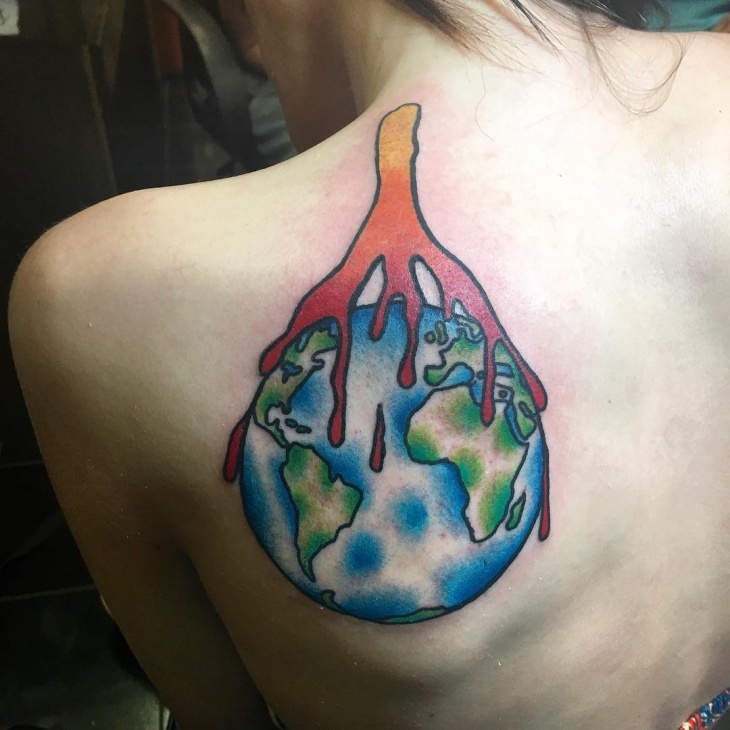 The earth tattoo design is one such kind where more than just a great design it is about raising awareness to save the wonderful planet we are living in. Like the saying goes ‘ We have only one earth, Let’s save it’. 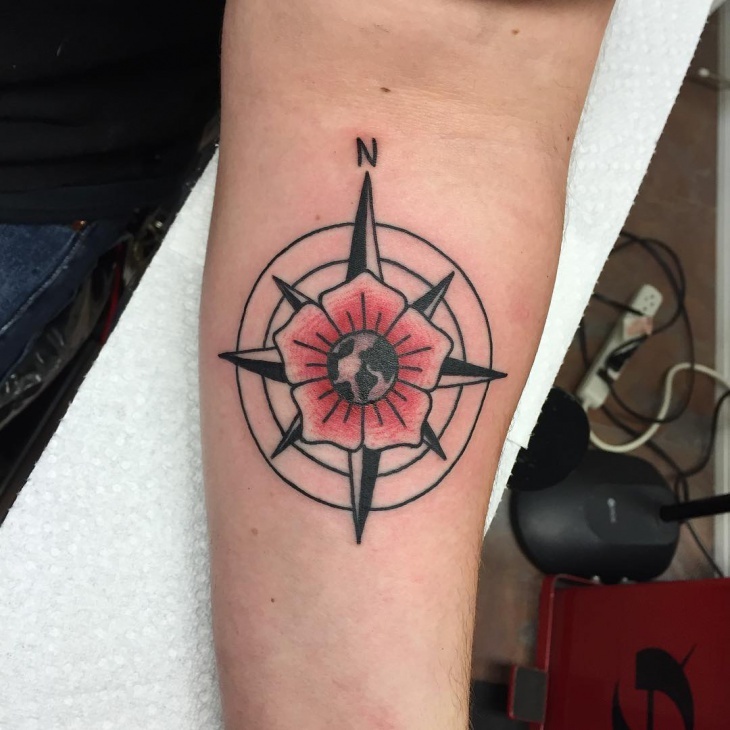 The tattoo designs we are going to see are colorful and wonderful to look at and you could even consider getting one. A simple design can communicate so many things. 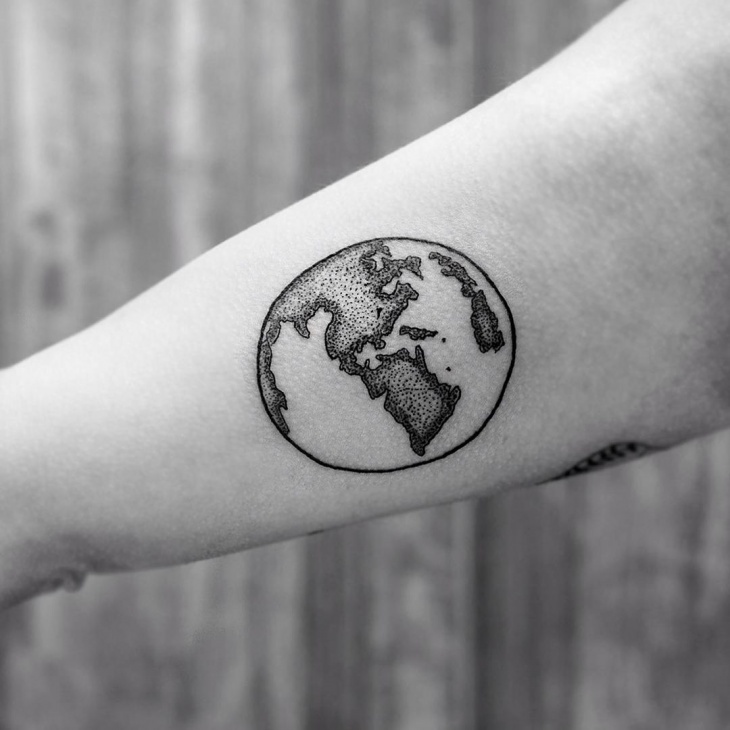 This magnificent earth tattoo design has the entire planet sketched out in a sleek and elegant manner. 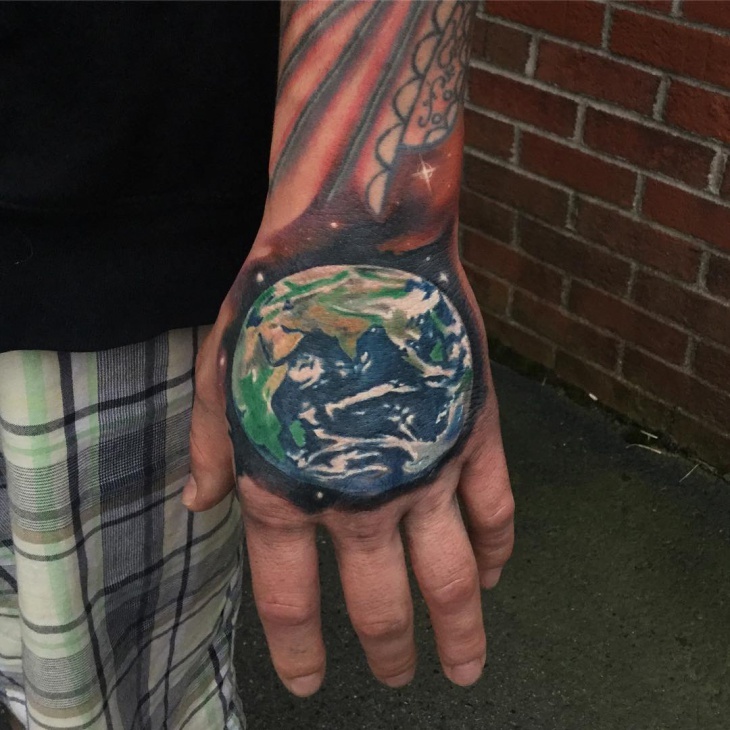 The inside is drawn out exactly to how the enormous planet looks like. 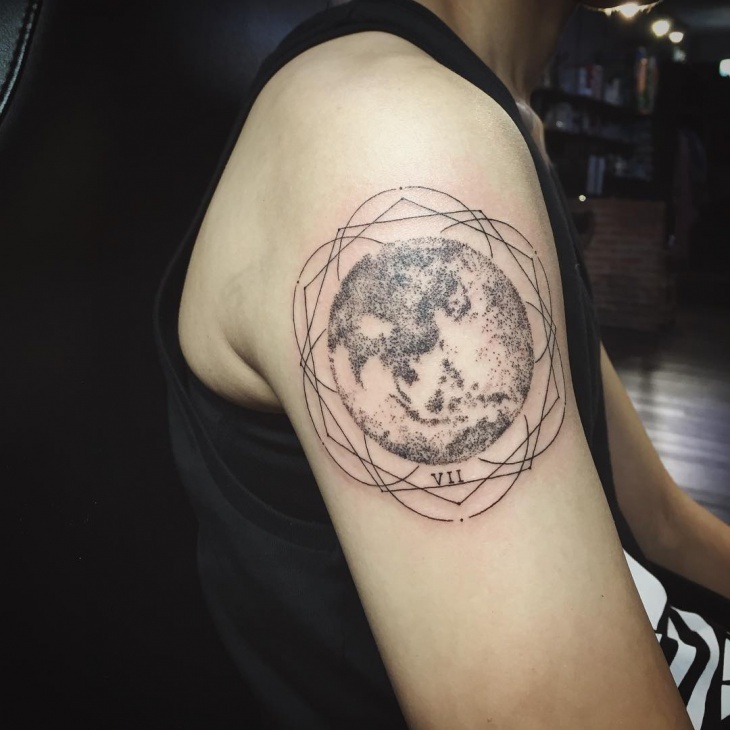 The shading and filling of the design is done remarkably. 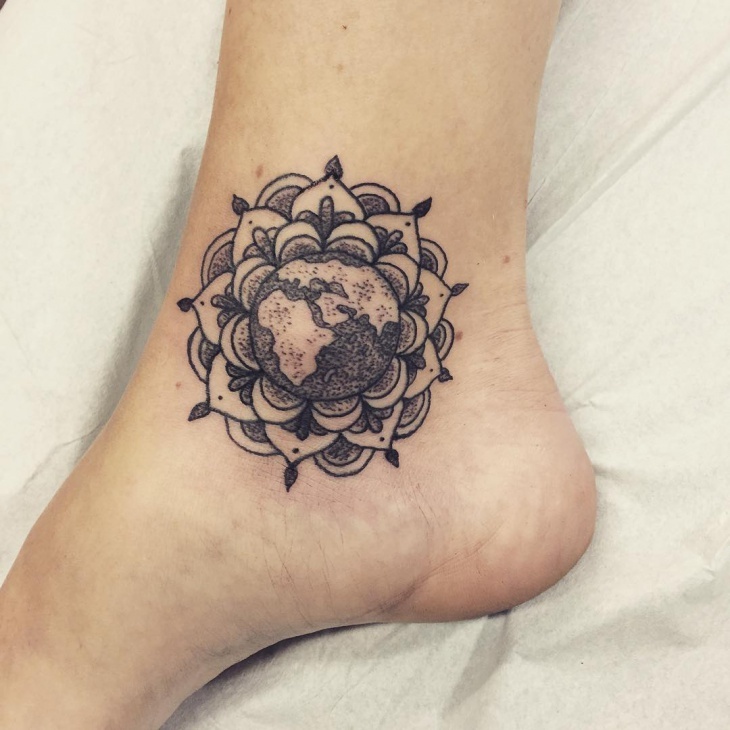 The Mandala Tattoo has deeper meaning to it than just the earth, hand and tree. 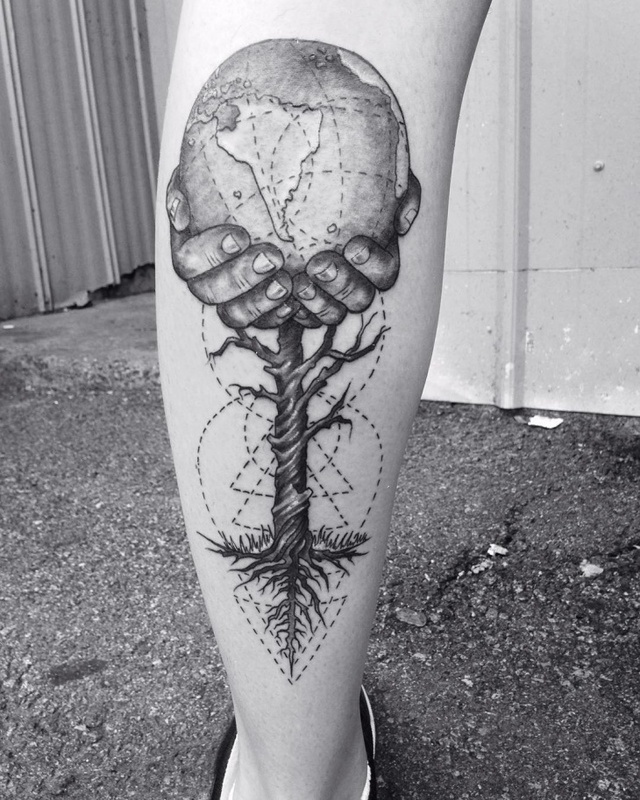 On looking closely you will see that a tree with deep roots has hand on which the earth is resting. The design is on point and done with so much intricate work and accuracy. Each thing is interrelated and that’s the message brought out in the design. A traditional outlook towards the design in red and black looks tremendous. The earth is drawn out in the old conventional way. 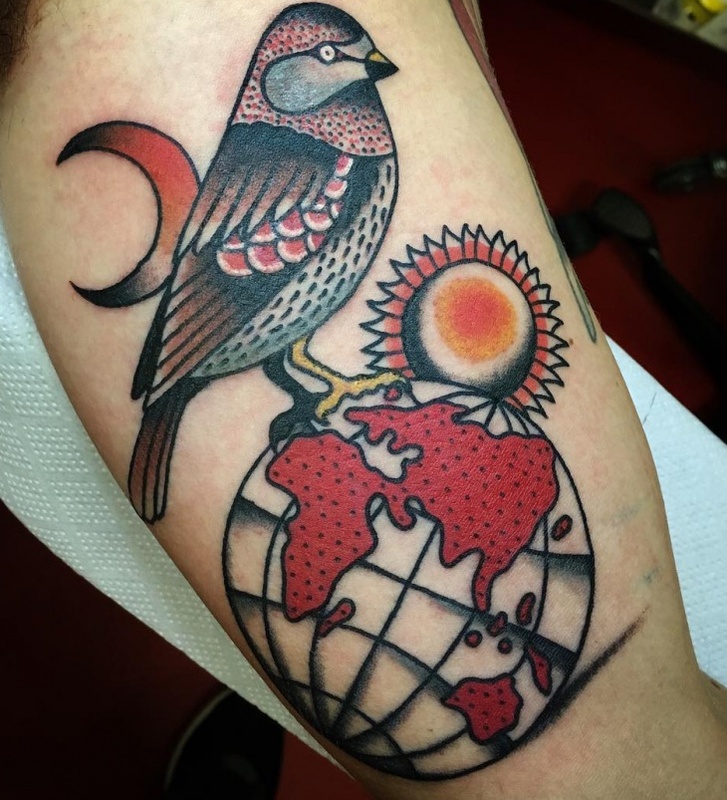 To add on to the design is the bird resting on the earth with the sun and moon beside it. The color contrast is blending in with each other perfectly with an outcome so wonderful. What did the earth mainly consist of before it came to civilization? The earth was filled with beautiful trees, plants and the hills. The design is drawn out so brilliantly with each aspect of it showing perfection. 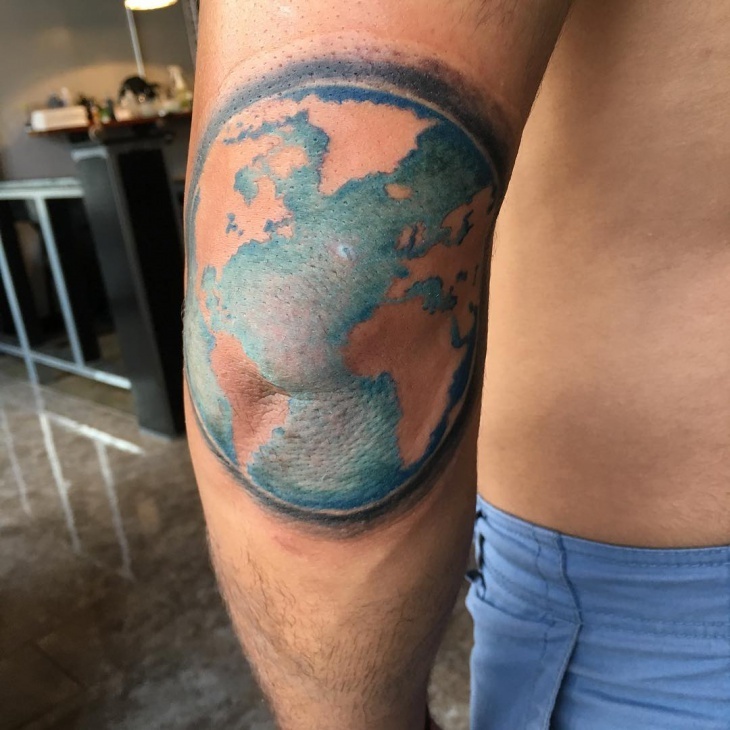 A small figurine of earth is placed high up colored in blue and green to depict the whole representation. 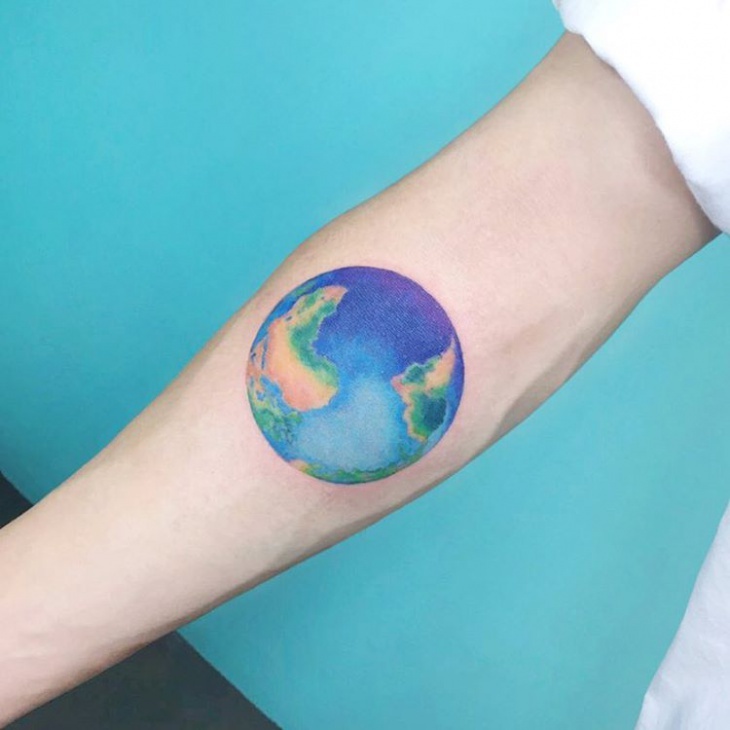 Sleeve tattoos are the best place to get a tattoo like this where the earth is drawn out in a slender manner with dots punched in as the land and the empty space as water. The design outside the earth is the conventional tribal design. Both the designs are interrelated. This is a small and completely different design from what we saw earlier. 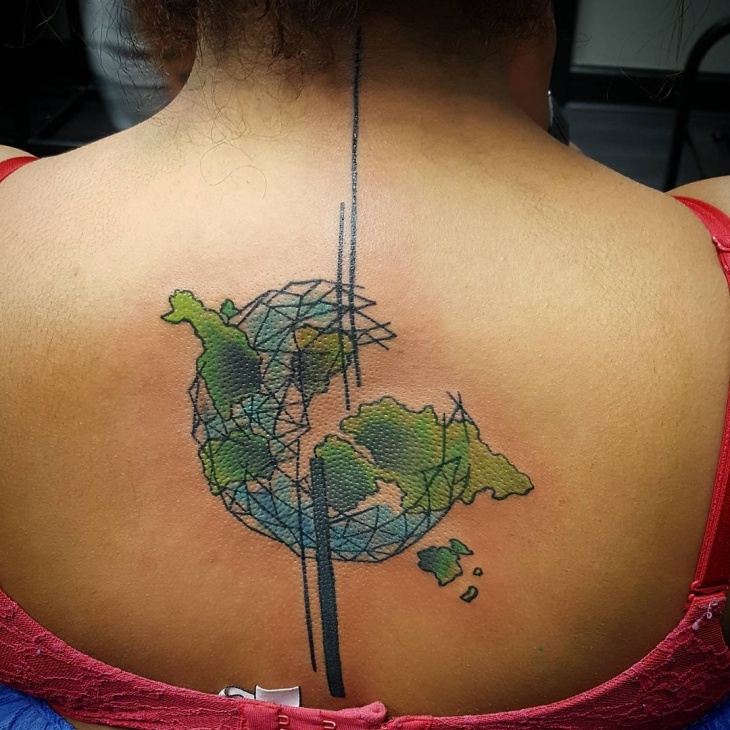 Instead of the round earth, the continents are drawn and colored in various bright colors. It is vibrant and nice to look at. 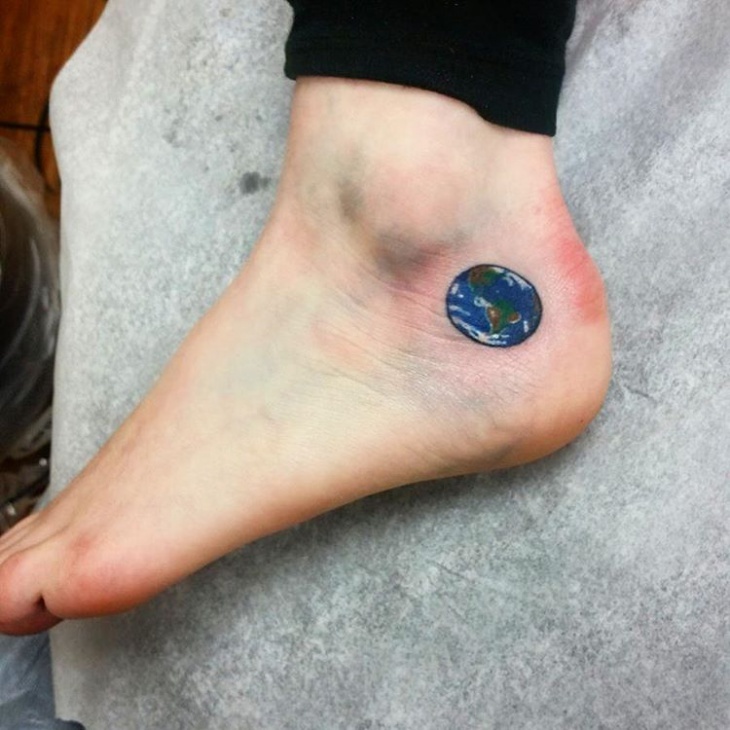 The earth is precious to all of us and we must protect it, this tattoo has brought out that quotient perfectly. The flowers are to support the fact that the earth is fragile and beautiful. 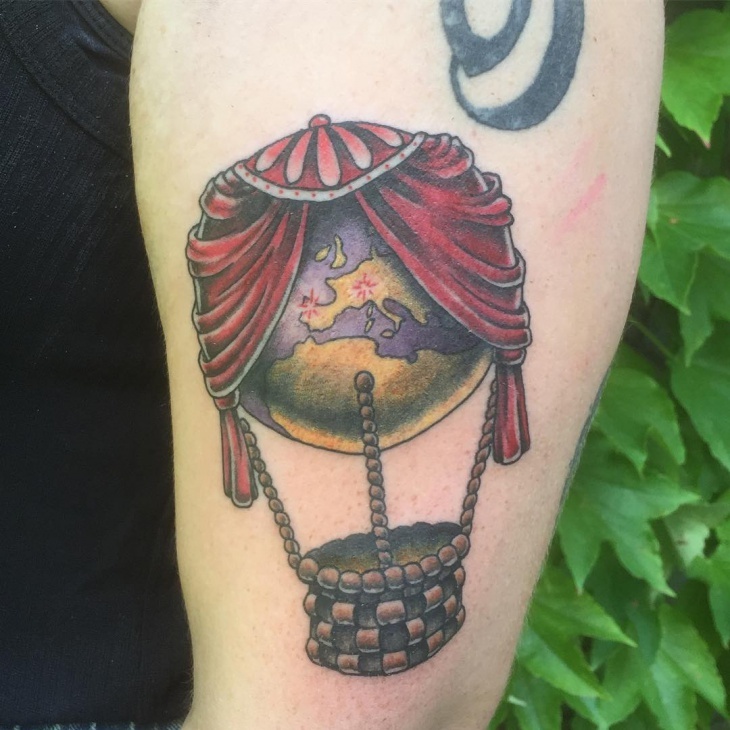 We have all seen the globe and they look absolutely classy on the golden rim stand. This is a replica of that design and is done so aptly. 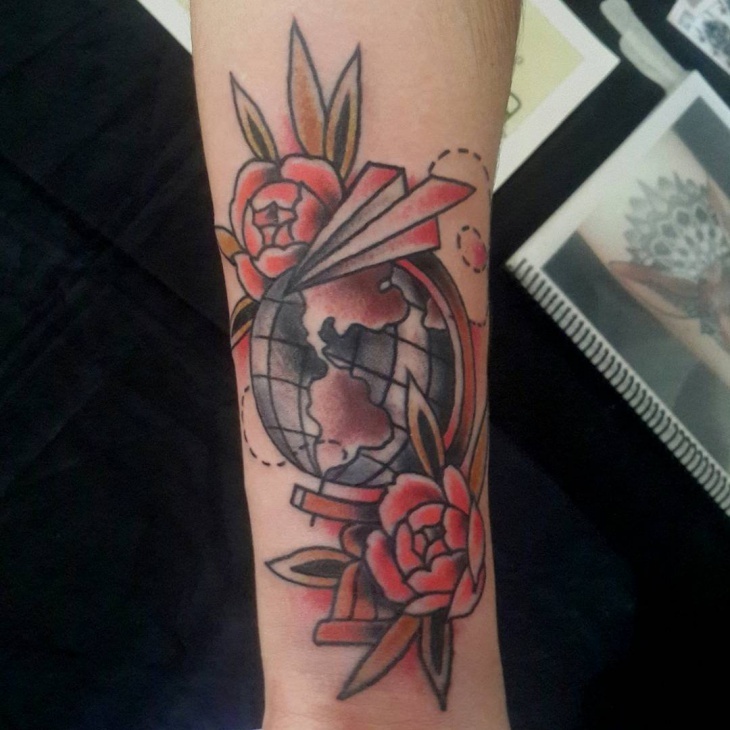 The flowers blend in well with the overall globe design to make it look more gorgeous. 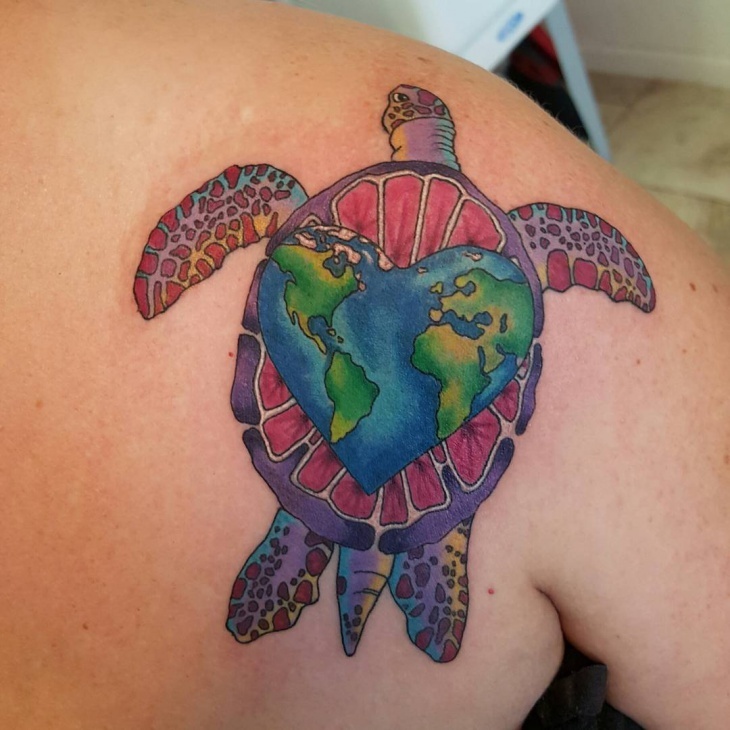 There are so many colors and a wonderful design to this amazing tattoo design. 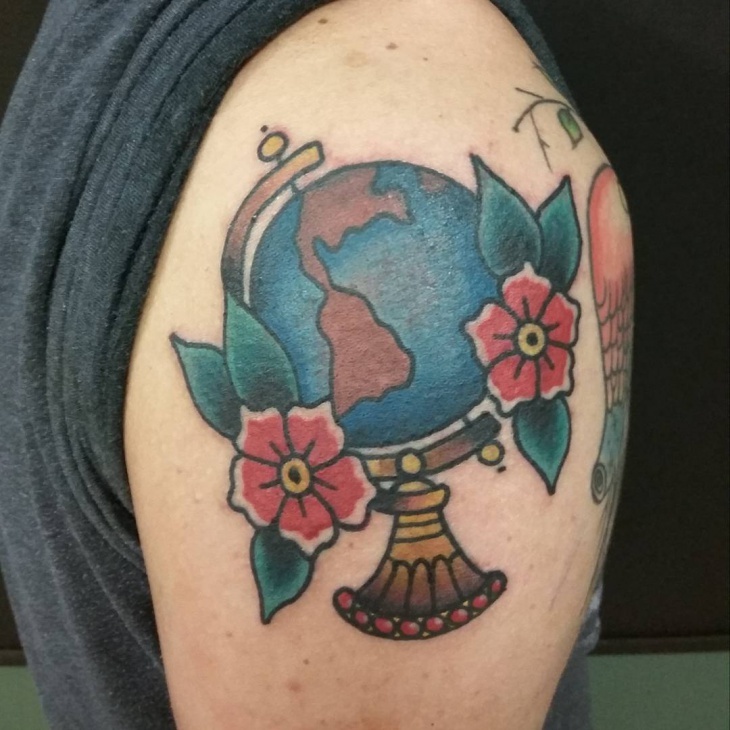 The blue and green is done to perfection. 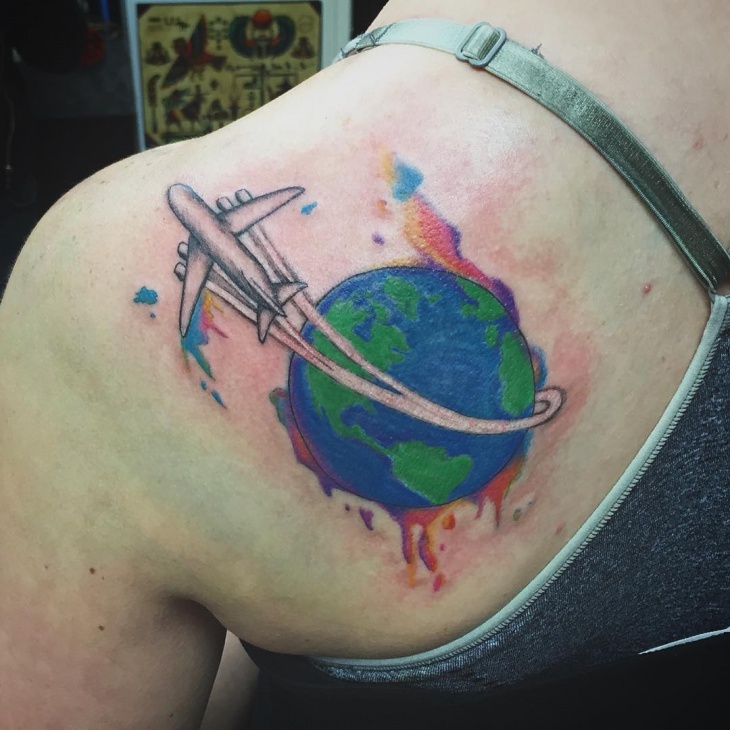 The plane flying around the earth is just adding an extra drama quotient to the design. 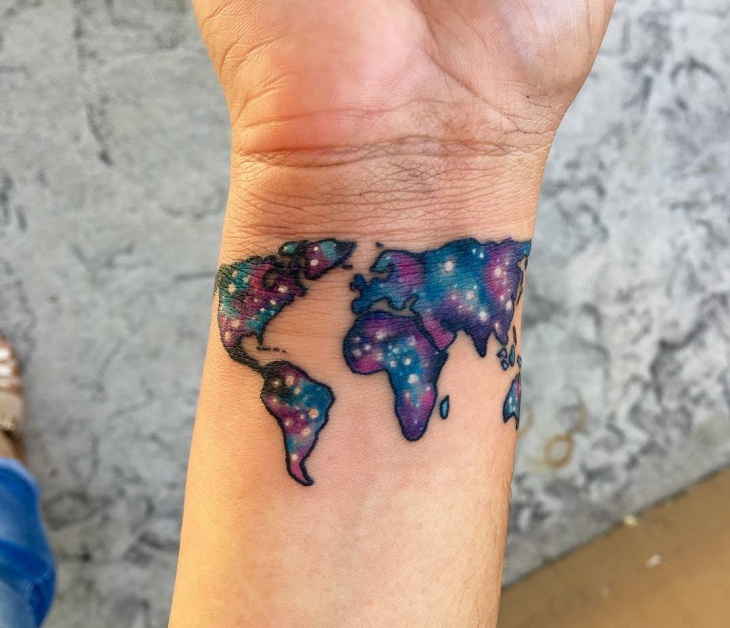 The colors around the earth make it look completely fashionable. 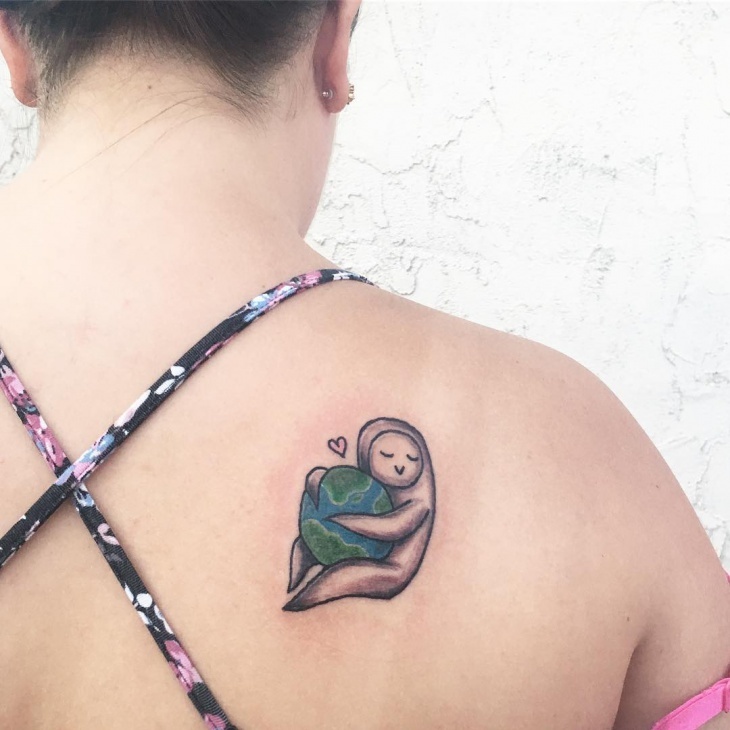 The earth tattoo is like an angel tattoo design where it protects all of us and keeps us safe. 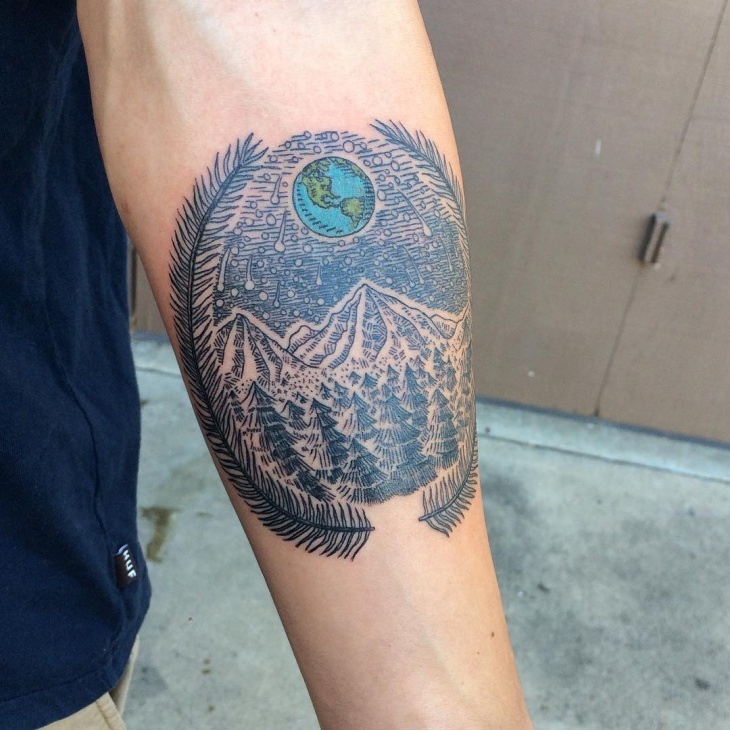 Each tattoo we have come across here is beautifully conceptualized and well executed.